One of the best things to do at the end of every year is think back, look at your photos, and reflect on everything that happened this year. Did you take any trips, make new friends, take up a new hobby? 2015 was a BIG year for the planet of paracord. New weaves were learned, new crafters joined our beloved community and new products were announced! This was a great year and I would like to pay tribute to 2015 with some of the best things that came out this year (You can click on each photo for more info). In March we announced one of the coolest cords, 400 Type III Glow Cord. This is a great cord to have on hand for camping, no- or low-light situations, or even a fun cord for kids to have in their forts. This specific cord is also a more natural looking white than previous versions so it would look great in bracelets! Just imagine never losing your paracord and being able to find it in a flash even in the dark! P.S. this cord is also UV resistant and won't rot/mildew. If you like the glow cord, I must mention that we also have 550 paracord with glow in the dark tracers (above photo)! Here's a fun one! 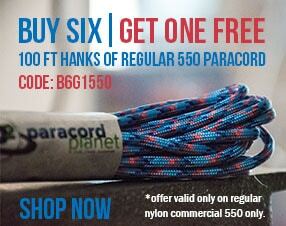 In April, we introduced Neon Rainbow 550 Paracord. This is one of my favorite cords to craft with because it looks different in every weave. Why settle with just one color? There are so many different gradients in just one hank of this cord. It's impossible not to love! It's great to mix and match this cord with solid colors. Need the toughest of the tough? Paramax is the solution. Its the Optimus Prime of paracord.This bad boy has a tensile strength of...wait for it...1,000 lbs! 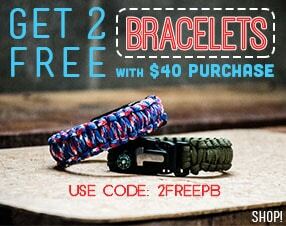 This is the strongest type of paracord on the market today! This is a necessity in a survival kit and is perfect for camping, hiking, hunting, or really any outdoor activity. If you weave a few of these together you would make an incredibly strong tow rope. See all the colors of ParaMax Cord we carry. 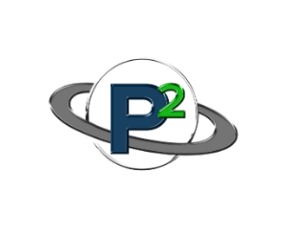 Click here for a closer look at Paramax. Do you ever finish a project and look at it and think "this looks like everybody else's"? NO MORE. One of the very best things about paracord crafting is that the options are literally endless. There's a zillion different colors, numerous cord sizes and now there's HUNDREDS of different beads, charms, and accents to add to really make your projects uniquely you. In November, we nearly doubled our hardware inventory! We got in glass starfish pendants, sporting beads, puppy beads, turtle beads, sparkly rhinestones, and more! I can't talk enough about this. You just have to look for yourself to see the craziness of our beads. Just a few days ago we announced our brand new 3/16" Shock Cord! We pride ourselves on bringing you a vast assortment of cord types, sizes, and colors. Shock cord is no exception. We were very excited to bring you this new size! One of the best things about shock cord is that it retains it's strength even while elongated. This is the perfect type of cord for bungee straps, cargo nets, and hammocks. The elasticity helps to absorb shock while in transit which makes this the best cord for holding in your precious belongings while in your vehicle. We went ahead and brought you 19 different colors of this brand new cord size! Paracord Planet brought us many new and awesome products in 2015 and we will do the same in 2016! We love bringing new ideas to the table (we even have an employee dedicated to finding new stuff!) so if you ever have a product idea we would love to hear it! Let's make 2016 the best year yet! As always, let us know what you think in the comment section or on Facebook, Twitter, Pinterest, Google+, andInstagram.